Former Premier League Champions Manchester United have been boosted in the race to sign Bayern Munich Star defender Jerome Boateng this summer as they could use Munich’s interest in Anthony Martial to their advantage. The Bavarians are reportedly set to offload the German defender this summer as they are willing to bring new and young defenders into their squad before the start of next season’s Bundesliga campaign. According to German outlet Bild, the Bundesliga Champions are in contact with Paris St-German and the Red Devils over the possibility of selling the experienced player to either of the team. 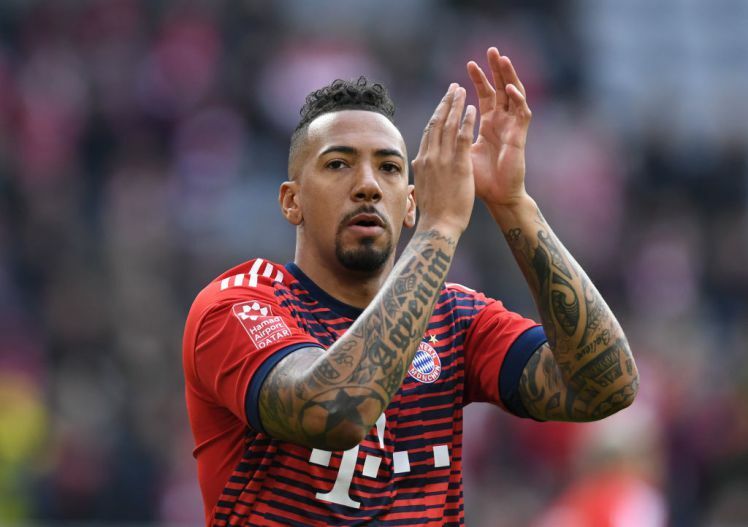 Though the Ligue 1 side haven’t been heavily linked with Boateng’s signature, they won’t reject the chance of luring him to the Parc Des Princes Stadium this summer. Unlike PSG, Manchester United are keenly interested in Boateng and they hope to get him before the end of the ongoing transfer market. The Red Devils are in search of new defenders as most of the players — at the back of the pitch — are said to be heading out of the Theater of Dreams for greener pasture. Marcos Rojo and Chris Smalling are linked with Everton and Wolverhampton respectively. Eric Bailly and Luke Shaw are yet to know their stands in Mourinho’s plan and they could be heading to another club this summer, therefore, it is important for the Portuguese manager to get the German star, who would bring more stability to the defence line. According to the report, Martial could be offered as a makeshift in their desire to lure Boateng to Old Trafford ahead of the upcoming season.